This RC Regenerative Discharger is a revolution on its own. Have you ever dreamed of discharging and/or charging 2 batteries at the same time at 40A on your iCharger DUO? Well… It is now possible: RC Regenerative Discharger is the product you need! The RC Regenerative Discharger is designed by a RC enthusiast and made in U.S.A. Please before buying read our Regenerative Discharger usage directions below. 2 batteries Maclan LCG HV Graphene 2S Shorty 120C 3600mAh used during my test. See the Regenerative Discharger video for two iCharger X6. Use only the “Cycle” mode on your charger. It will discharge and then charge automatically. Do not use several times in a row the “Discharge” mode from your charger. Discharge up to 2S 12,000mAh or 2x 2S 6,000mAh. Charge up to 2S 18,000 mAh per hour without energy recovery, and much more if you re-use energy from discharge! Maximum RC battery capacity allowed for discharge/charge: 1x 2S 12,000mAh or 2x 2S 8,000mAh or 1x 4S 8,000mAh or 2x 4S 4,000mAh. ** All iChargers and power supply shown for reference only. iCharger and power supply are not included with the Regenerative Discharger version 1. With the iCharger X6 or the 308DUO you can discharge or charge at 30A . Can’t find the product or colors to fit your needs? We are happy to design and build tailor-made solutions for you. Reply within 24h on business days. 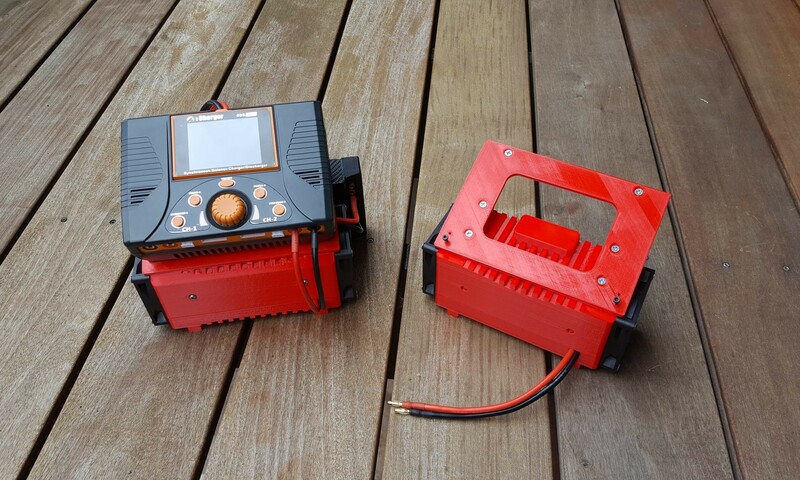 These dischargers is designed by a RC enthusiast and made in U.S.A.
Passionate about RC for more than 20 years, Rodolphe decided to use his knowledge in electronics and electricity to make RC enthusiats life easy! He is designing and building products to optimize racing performances, while saving space and time for users.